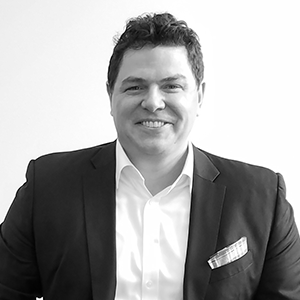 Tucker Reed is co-founder and principal of Totem, a real estate development and advisory firm based in Brooklyn. From 2012 to 2016, he was president of the Downtown Brooklyn Partnership, where under his leadership, Downtown Brooklyn achieved historically low commercial office vacancy rates and attracted nearly $7 billion dollars in investment that resulted in thousands of new housing units and jobs. The Partnership became the driving force behind the emergence of the Brooklyn Tech Triangle as a key contributor to the growth of the innovation economy in New York City and major infrastructure improvements like the Brooklyn Queens Connector. From 2008 – 2009 Tucker worked for the State Department in Baghdad, Iraq on the rebuilding of the City and serving as Chief of Staff of the Baghdad Provincial Reconstruction Team. Prior to joining the State Department, Tucker was the founding Executive Director of the DUMBO Improvement District, responsible for launching the organization in 2006 that has overseen the flourishing development of that waterfront office and residential district. Previous to his DUMBO position, Tucker was a Senior Policy Advisor for the Department of Small Business Services in the Bloomberg Administration. Tucker holds a B.A. from Wesleyan University and an M.S. in Real Estate Development from New York University. He has received numerous awards and recognition including Commercial Observer’s 100 Most Powerful People in New York Real Estate and City and State’s 40 Under 40. He was a Co-Founder of the Friends of the Brooklyn Queens Connector and currently serves on the board of Brooklyn Bridge Park and the Coro New York Leadership Center and as an adjunct professor at New York University.